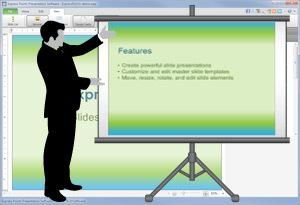 Easily design effective slideshow presentations with this free software. Enhance any presentation with visuals and multimedia examples of the information, ideas and arguments you are presenting. Easily create a diagram or chart with ClickCharts Diagram Software. Visualize and plan your dream home with DreamPlan Home Design Software. Design custom business cards with CardWorks Business Card Software. Creating a multimedia slideshow is easy with PhotoStage Slideshow Software. For more software see our Graphics Software page. ** Microsoft® and PowerPoint® are trademarks of Microsoft, Inc. 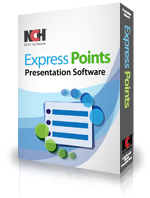 This product is a competitor of Microsoft's Powerpoint.